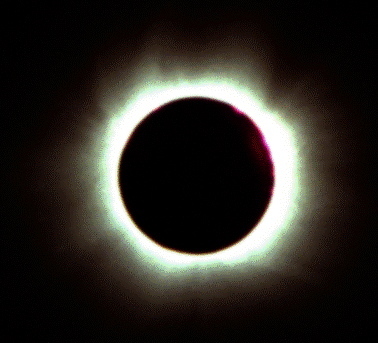 The first astrophoto that I took (appearing to the right) was of the 1999 solar eclipse, which I traveled to Romania with my Dad to see. I didn't have a telescope or even a tripod, but my Dad and I managed to capture the photo at the right with a film SLR equipped with a 200mm zoom lens. Since then I was hooked on capturing the wonders of the sky. With the right enthusiasm and dedication, you too can certainly do the same! This section is meant as a short introduction and general overview of the basics of amateur astrophotography. It's a good text to read, especially if you've never taken an astrophoto and would like become oriented to the various techniques used in this hobby. I describe the basic techniques and strategies used to take pictures of the sky in Part II of this text, starting with the simplest techniques and working my way to more sophisticated astrophotography. Part I describes general considerations that you should be aware of before you start taking astrophotos, regardless of the technique you use. This is definitely not a complete or detail-oriented text, and if you'd like to learn more, I'd recommend buying a good book on astrophotography. You can find some titles in the astrophotography resources section. In addition, if you'd like to learn astrophotography, I would recommend spending some time on the internet. Many astrophotographers share their photos and knowledge over the internet, and learning from the experience of others is a good strategy. Of course, trying to take pictures of the sky on your own is the best way to learn, but emulating the strategies others have used will guide you. The photos on this site are just one example of what can be done, and there are many more out there, for example on photo sharing sites such as Flickr. 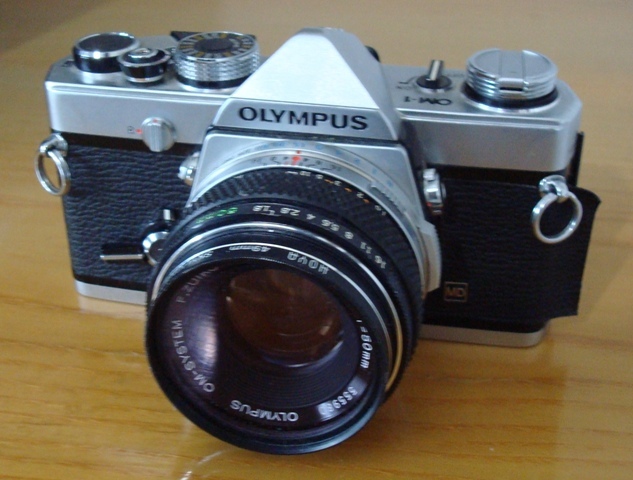 The camera in the right photo is an Olympus OM-1, a classic SLR camera for astrophotography. Today, cameras such as these have been replaced by digital versions (DSLR's). Choosing a good camera for your astrophotography endeavors is critical. A DSLR offers most of the features you'll need for most types of astrophotography. Even without a telescope or any other sophisticated equipment, all you need to take an astrophoto is a camera, a tripod, and probably a cable release. However, you'll need to choose the right kind of camera. Commercially sold snap-shot cameras won't cut it for most of the techniques described here - except for afocal solar system photography. For one, you need to be able to control the exposure length of the pictures taken by your camera. Long exposures, often much longer than those taken in daytime terrestrial photography, are required for a good deal of astronomical work, and you'll probably want to invest in a good Digital-SLR (DSLR) camera which allows you to control exposure time as well as other features you'll require. DSLR's are also desirable because of their removable lenses, which allow you to attach their bodies to different focal length lenses or a telescope, allowing you a greater range of magnifications and fields of view. You don't necessarily need the most advanced DSLR for astrophotography. I personally own a Canon XS (1000D) DSLR. Indeed, many of the features incorporated into the more expensive DSLR's on the market are not intended or even needed for astrophotography. Most of the time, the features mentioned above will suffice for most purposes. In addition to your DSLR you'll want a manual cable release or an electronic one for DSLR's. Firing the camera shutter with a cable release will help avoid unnecessary vibrations of the camera which can occur if you open the shutter by direcly pressing on the release button. In addition, if all you're using is a camera to take an astrophoto (i.e. without a telescope), you'll probably need a tripod to keep the camera pointing at where you want it to in the sky while taking your pictures. Astrophotography with only a camera, tripod and cable release - the fixed tripod method - is described in a section below. Besides DSLR's, there are more specialized types of cameras available for astrophotography. CCD cameras are best suited to long-exposure deep sky photography, but are quite expensive as a starter camera. Webcams in comparison are quite cheep and are suited mainly for solar system photography (see the last section on webcam photography). ISO and exposure time are two things that need consideration in astrophotography. In the era of film photography, ISO referred to the "speed" of the particular role of film being used. Faster film (film with a higher ISO number) would require shorter exposures, as the speed with which the film becomes saturated with light would be faster. Similarly, setting your digital camera to a high ISO will result in brighter images in a shorter amount of time, i.e. a shorter exposure. This doesn't make much of a difference with lunar and planetary photography, but can make an important difference in deep-sky astrophotography. All other factors being equal, a 5 minute exposure at ISO 100 will look the same as a 20 second exposure at ISO 1600. Thus, you can see how a higher ISO can save you a lot of time. The problem with high ISO, however, is noise. Noise (or grain) increases with an increase in ISO. With digital cameras, noise can be reduced by taking several exposures and combining (stacking) them with special software. Also, there exists software that filters out noise from a single picture (much of this software is free and can be found online). Still, if you want to avoid noise from the beginning, don't use too high an ISO unless you must. It may also be useful to use a camera's built-in noise reduction feature, should it have one, which would subtract the noise from each photo taken by taking a dark frame of equal exposure length. This can be impractical, however, for very long exposures. Finally, you might want to inquire about the "noisiness" of a digital camera - the amount of noise it intrinsically generates at a set ISO compared to other cameras - before buying it. Before moving on to techniques for taking your own astrophotos, I'd like to discuss the issue of sky fog. Sky fog is the background glow of the sky that appears in your pictures to a greater extent the longer your exposures are. Sky fog is caused by light pollution (from man-made lights), and so is greatest in urban areas and less at dark sites far from the city. Depending on where you're taking pictures from, sky fog could be a problem of variable significance. Longer exposures will appear more "washed out" until you can no longer see most stars or any other dim sky objects. If the sky fog limit does not allow you to take exposures as long as you'd like, then you'll have to change to a lower light pollution site. Below are pictures of the constellation Orion taken from an intermediately light polluted site. Notice how the background glow increases with the length of each exposure. The star trails picture to the right was taken with only a camera, tripod, and cable release. Sixty 30-second exposures were taken and combined using the free program startrails.exe. The simplest technique for astrophotography is fixed tripod astrophotography. An easy thing you can do with this technique is to take a picture of "star trails". 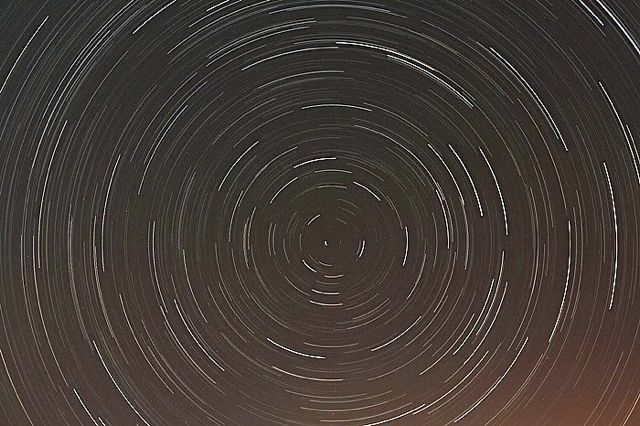 A "star trails" picture is basically a picture of the stars as they move across the sky. Taking such a picture is as basic as it gets: all you need is a camera and a sturdy tripod and cable release. Point your camera anywhere in the sky (preferably where some bright stars are located), and shoot. You'll need to take a long exposure (usually a few minutes or more) so that trails, or the lines of apparent movement of the stars, will appear. The stars appear to move for the same reason that the sun rises and sets, i.e. the Earth's rotation about its axis. As the stars' images move across the DSLR's sensor, a trail of light is recorded. Depending on where you point in the sky, the trails will be longer or shorter for a given amount of time. Longer trails will be recorded further from the northern (or southern) pole of the sky. If you point at the northern pole (near Polaris, the North Star), the trails of stars will run in concentric circles around the pole. This is an easy first astrophotography project and can give some rewarding results. Although long startrail exposures may suffer from sky fog in light polluted areas, there is a way to avoid this with a digital camera. The trick is to take several shorter exposures of the same area of the sky in a consecutive fashion and then combine the pictures digitally. Each new picture in the sequence should be taken as soon as possible after the one before it is finished, for example by using a DSLR's "continuous shooting" mode. Play around with the exposure time and ISO and f-ratio setting until you get a picture that is good enough to record the stars but not long enough to accumulate significant sky fog. Then, combine the pictures digitally in Photoshop or a program such as Startrails.exe, and voila, a startrails picture without the annoying sky fog! I took the star trail pictures on this website with a DSLR using this method. You can get creative with your pictures of star trails; for example, you could include some trees or other scenery. "Painting" such scenery with a flashlight or other light source can be done to illuminate the scenery at a dark site. To "paint" such foreground objects, just aim the flashlight (or other light source) at the object while the camera is taking the exposure(s) and move the flashlight around the surface of the object. Illuminating the object in this manner ensures that it will show up in the resulting image, despite the darkness of its surroundings. Star trail images can be very beautiful, especially if taken at a dark site with scenery and a long total exposure. A nice effect in star trails photos is the different colors different stars make. Also, if you're lucky, you might catch a meteor streak across the field you're shooting. Star trails aren't the only thing you can take a picture of using the fixed tripod method. You can also take pictures of the planets, moon, constellations, and even comets if they're bright enough. Of course, they will only appear as magnified as your camera lens allows, and in order to have objects you're photographing not trail, you'll need to keep the exposure times shorter. As with star trails, you can get creative with scenery in the foreground. 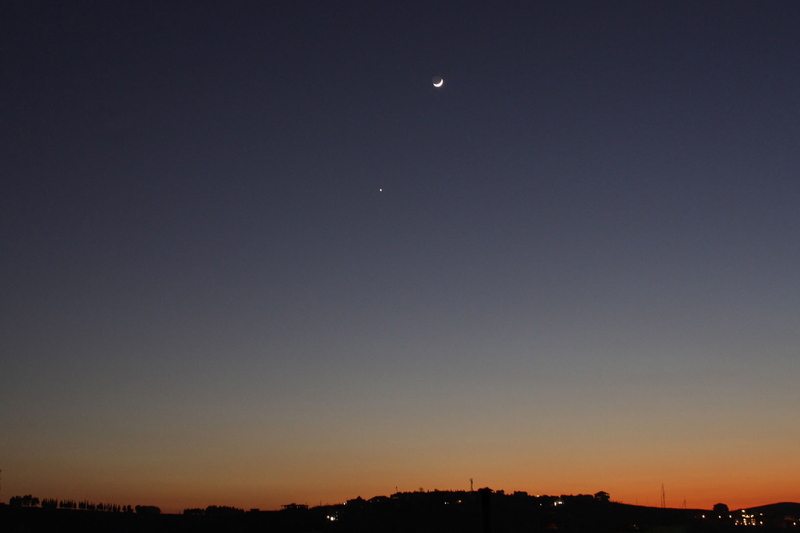 Above is a fixed tripod picture of a close encounter of Venus and the Moon at sunset. This and the next sections describe astrophotography that involve a telescope. The afocal method is the simplest of these methods. Simply, the afocal method involves pointing a camera's lens directly into the eyepiece of a telescope aimed at a certain subject - usually the moon, sun, or a planet. The camera can be fixed to a tripod while directed at the telescope's eyepiece, to minimize vibrations. DSLR's give you more control over certain elements, (e.g. exposure time, f-ratio, and manual focusing) however you can experiment with other cameras and see what you get. Some people are also taking afocal pictures with smartphones! Below is a picture of the moon taken through a snap-shot type automatic digital camera using the afocal method. 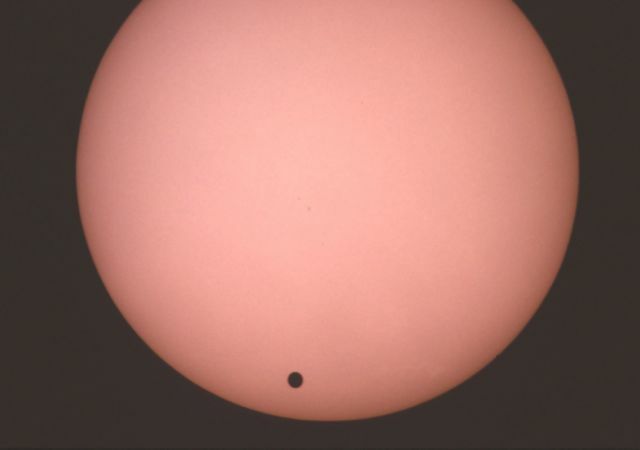 Next to it is a picture of the Venus transit of 2004 taken afocally with a similar camera. To figure out exposure times with the afocal method (if your camera allows you to control exposure times), you need to know the focal ratio at which the camera's lens is operating. The overall focal ratio, from which you determine the exposure time (from an exposure table for example) is the focal ratio of the camera multiplied by the magnification. Magnification is determined by dividing the focal length of the telescope (you can figure this out from the telescope's manual) by the focal length of the eyepiece you're using (usually written on the eyepiece itself). But don't worry too much about all the calculations above if you'd like to try the afocal method (I didn't). Trial and error is usually the best way to go. The picture to the right shows my 8 inch Schmidt Cassegrain with a small refractor riding "piggyback" on top of it. This setup allows the smaller telescope to track the sky. Whereas fixed-tripod astrophotography limits the exposure times possible for pictures that do not contain trails, piggybacking allows you to take much longer exposures without trailing. Telescopes on motor-driven mounts track the sky by having the motor move the telescope at the same rate of the earth's rotation, thus following the apparent movement of the stars. Piggybacking involves attaching a camera (with lens) to the body of a telescope attached to a motor-driven mount. The camera thus rides "piggyback" on the telescope, and tracks the sky along with the telescope. Piggybacking also works with a smaller telescope and a camera attached to a larger, motor-driven telescope. The piggybacking method allows you to photograph dimmer objects in more detail, and is a great way to do much deep-sky work. It is important now to talk about mount type. There are two main types of mounts: equatorial and altitude-azimuth (alt-az). If you're using an equatorial mount for piggyback astrophotography, you'll need to polar align your telescope. This procedure is not described here, but can be easily found in astrophotography books or online, or even in your telescope's manual. Polar aligned equatorial mounts allow you to take longer exposures than a motor-driven alt-az mount because of something called field rotation, which limits exposure times on alt-az mounts. Field rotation occurs because as objects are tracked on an alt-az mount, the edges rotate around the center of the field, but the camera's orientation doesn't change. Thus, objects off-center appear to move in arcs around the center. Poorly aligned equatorial mounts also exhibit field rotation, the extent of which depends on the alignment error. The limit for photography on an alt-az mount without significant field rotation is about 5 minutes. You can transform an alt-az mount like that of the LX200 series of telescopes (of which my own telescope is one) with a wedge. The picture to the right of the moon was taken by coupling a DSLR camera to the prime focus of my 8 inch Schmidt Cassegrain telescope. No tracking was needed in this case. Whereas piggyback astrophotography takes advantage of a motor-driven telescope without directly involving its optics, prime focus astrophotography allows you to capture an image actually formed by your telescope, i.e. the camera "looks" through the telescope. The main advantage of this is higher magnification. 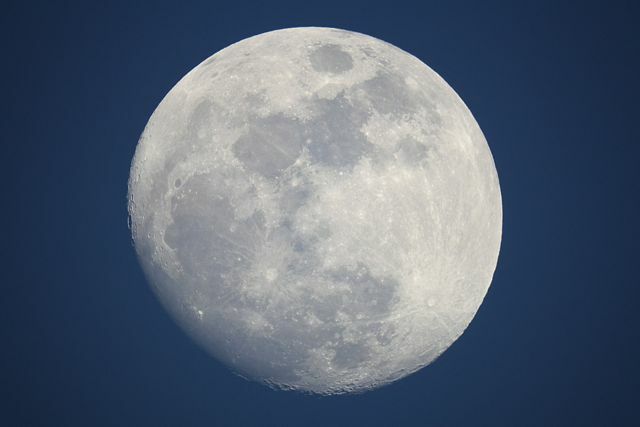 Prime focus astrophotography is particularly useful for the moon and deep-sky work; eyepiece projection (see below) is best suited for the planets and close-ups of the moon. 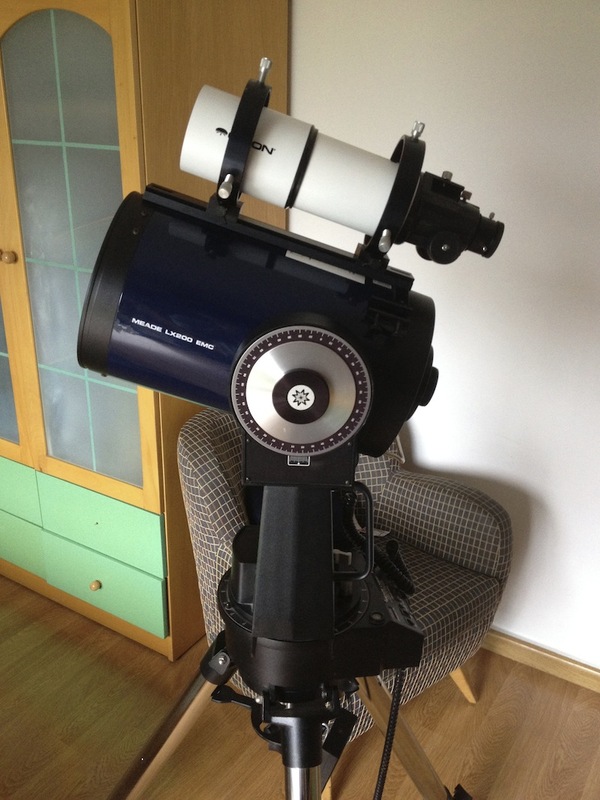 You'll need the proper attachment parts in order to attach your camera to the telescope. 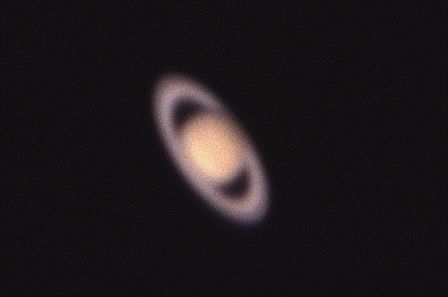 A T-ring replaces the lens and allows you to connect your camera to another adapter specific for your telescope. In addition to the moon, deep space objects can be photographed by the prime focus method. This application is discussed below in the section on Prime Focus Deep-Sky Photography. The pictures to the right were taken by eyepiece projection. Notice the high magnification which can be achieved using this method. Eyepiece projection involves using an eyepiece placed between the telescope and the camera to project an image onto the film (or DSLR sensor). This method allows magnifications up to several magnitudes higher than those obtained with prime focus, and is thus is especially useful for photographing the planets, whose apparent sizes are small. In addition to the planets, eyepiece projection is useful for "close-up" pictures of the moon. As with prime focus, you'll need a special adaptor to hold the eyepiece in place between the camera and telescope's optics. A T-ring is also necessary. Figuring out focal-ratio (and therefore proper exposure time) is a bit tricky with eyepiece projection. It depends on the distance between the eyepiece and the plane of the film (or camera sensor). I won't detail the method for calculating focal lengths here, but it is very well described in Michael Covington's Astrophotography for the Amateur. To give you an idea, a 12.4mm focal length eyepiece at a certain distance increases my SCT's f/10 focal-ratio to f/95, and a 20mm eyepiece transforms f/10 into f/55. Because longer exposure times are required at larger focal-ratios, you'll probably need a motor drive for your mount to take pictures with this method. You don't need to worry about accurate polar alignment, however, since the exposures are usually only a few seconds and aren't affected by field rotation. 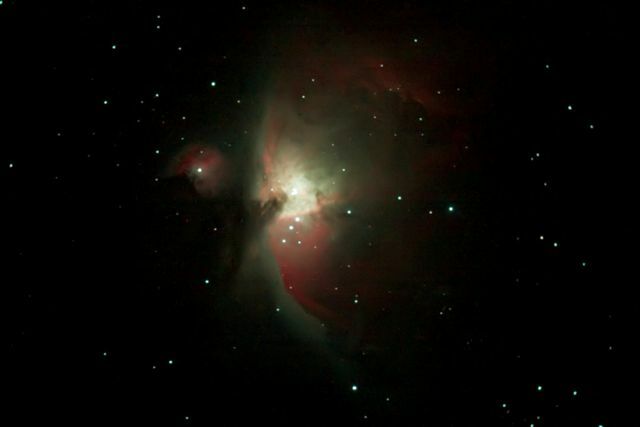 The unguided photo to the right of the Orion Nebula was taken on an alt-az mounted Schmidt Cassegrain Telescope. The individual exposures used to make this photo were only 30 seconds long. Many other deep sky objects require longer exposures and guiding. Prime focus deep sky photography is challenging because in addition to the requirement for polar alignment (for exposures longer than a few minutes, which most deep-sky photographs require), there is also the requirement for guiding. Because of imperfections in the gears of motor-drives, tracking of objects by these drives is not perfectly smooth. Errors occur, which cause the image to jump around the field of view as it is being tracked. For this reason, it is important to correct these errors, which is done by guiding. Note that guiding is not necessary for exposures taken piggyback with a short focal length lens (probably not more than 100-200mm), if the polar alignment is accurate. This is because the errors in tracking due to imprecision of the motor drive's gears are probably too small to show up at low magnifications. There are two main ways to guide: through a guide scope or by using an off-axis guider. A guide scope is basically a second, smaller telescope which is attached to the body of the main telescope and is directed towards a certain star, known as the guide star. Through the guide scope, the star is kept at in one position by moving the telescope by small amounts. Thus, errors which cause the guide star (and also the image through the main scope) to move are corrected. Note that some guidescopes can themselves be used as imaging scopes when piggybacked on a larger main scope. In this case, the larger telescope can be used to guide the smaller one. An off-axis guider, on the other hand, looks through the main imaging scope. This piece of equipment uses a small mirror to project an image from a small portion of the telescope's field off to 90 degrees to the main axis. If this field contains a star, this star can then be used as a guide star. Because the field of view seen by the off-axis guider is only a small portion of the whole field of view, it is often challenging to find a good guide star, especially while keeping the object being photographed in the center of the camera's field. Thus, it is easier to use a guidescope on most telescopes, although a guidescope may not work perfectly well for very long exposures (several tens of minutes) on a Schmidt Cassegrain Telescope (SCT) because of flexture and mirror flop, which cause the guidescope to move slightly with respect to the main scope. In this case, you may want to make sure that your guidescope is very well supported on your SCT as to avoid unwanted movements. Still, you can probably get away with exposures up to 10 minutes or even more by guiding with an SCT, and this is perfectly fine, especially in the digital era as you can combine several shorter (5-10 min) exposures rather than take one very long one. Again, there are two strategies to guide on a star whether using a guide scope or off-axis guider. Guiding can be done either manually with an illuminated reticle eyepiece (an eyepiece with illuminated cross-hairs, which help the observer detect small movements of the guide star), or automatically with an auto-guider (if your telescope supports one). An auto-guider, as its name suggests, automatically detects movements of the guide star and moves the telescope accordingly. There is one strategy to deep-sky photography that does not require either polar alignment or guiding. This strategy consists of taking relatively short exposures (probably not longer than 2 or 3 minutes) and combining them digitally on a computer. This method is easy with digital cameras, which output images which are already digitized. The main benefit of this so-called "stacking" of images is that it decreases noise in the final image compared to the individual frames (however, it does not result in greater luminosity). This can make the final image look better, especially on further processing with Photoshop, for example. Programs such as DeepSkyStacker can align and combine (stack) images easily. Photoshop can also be used to stack, but is more suited for making final adjustments to already stacked images. The three pictures to the right were all taken using a webcam. This type of solar system photography can capture details and render sharp images for relatively little cost. 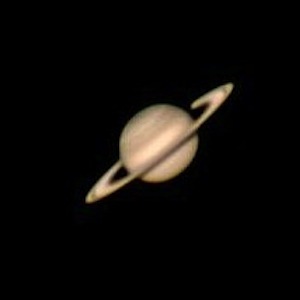 The best pictures of the planets are taken not with thousand-dollar CCD or digital cameras, but with small, inexpensive webcams adapted for photography through a telescope. Webcams are actually small video cameras that allow you to take several frames per second. So how do they work? Well, the main challenge to planetary photography is dealing with random atmospheric turbulence which distorts the planet's image and limits the amount of detail that can be captured with traditional methods. Because webcams can take many many frames, the best looking frames captured during very short periods of atmospheric calm can be selected and combined into one superior image. The combining part is done by special programs (e.g. Registax), which use the input from the webcams, and sort out the best frames from the hundreds of individual frames. Finally, by using digital filters, such programs allow you to manipulate the combined image to bring out detail. Note that this method can also be used for the moon.